I have a Timpano drum and Lucky Cat if you're still looking. Could I perhaps get a Lucky Black Cat? And if anyone has cherries I'm dying for some! I have some cherries if you need em. Cat already got the Lucky Cat, though I could offer you a Lucky Black Cat if you are still interested. I'm just registering your code and then I will head over. Yep, the only two instruments I need now are the ukulele (Club Tortimer item) and double-neck guitar (which comes out on the 28th). I also need the music floor and wall, but I can get those from Saharah. Anyone without Best Buy, let me know if you need the Best Buy items. Ah, Kaz, I found out what Gulliver item I had before: the Statue of Liberty. If you want, I'll give you one (to repay for the bagpipes). I funded the dream suite, got a Triforce from fortune cookies, and I have 3 Varia Suits and 2 Samus Helmets if anyone is interested. If anyone wants either of those I also have Varia Boots. What I want to know is why all my villagers are starting to suggest traffic signs for public works projects. Where's the road?! It's obviously to slow all those runners down. Mine currently has them for 279 for anyone interested. How does 20 bells sound? Seriously, Mine don't move above 30. Shall I go with intervening myself, or ignoring? Also Fubab you should intervene. Last edited by zsaberslash; July 13, 2013 at 02:32:33 AM. If you want to get a villager out, keep pushing/hitting them for a while. Respond to every "I want to talk" emote the villager you want out. Eventually you'll get "I'll be leaving on <date>". Kody is leaving on the 18th. Although I kinda liked him, what he said to me when I said he was free to go actually kinda touched me. "It was good knowing you Fub! Don't let me hear you skimping on your training!" Last edited by Fubab_107; July 14, 2013 at 07:41:00 PM. I haven't had anyone leave my town yet, and I just got my tenth villager from the campsite. Europeans get a free Slushie Machine from SpotPass today. Also Turnips are 73 bells each here. NOPE. Last edited by zsaberslash; July 15, 2013 at 02:34:16 AM. I got the game right before I left and seemed to make it a good ways in. Many of the other tress are planted and have been harvested, started my first public works project (a bridge) so I'm waiting for that to finish. beyond that got the first bug badge and starting a plot of roses (currently yellow white and red). Got the first expansion almost payed off and then back in debt I go lol. Looking for someone with Turnip prices of over 200 bells. I don't want to be stuck with them all week! The Elite Scavenger Hunt Tour is easily one of the best ways to earn quick medals. 16 medals per gold rank. Funny story with this scorpion. I recently visited the Aika Village. It's a creepy town with a ton of symbolism to hint at the backstory. The Aika Village mayor speaks in Japanese for the most part, but the residents tend to speak in gibberish. The mayor is Aika with the other 3 residents being Aika, Aika, and Aika. This town alone holds a lot of speculation and I don't think the maker revealed the story she used for it. This seems like a good time for me to add you guys all to my 3DS's friend list. I'm going to add every FC that I can find in your profiles right now, because I think the game would be... well, something completely different if we could get together. The project is currently going very slowly and is probably going to slow down my progress a lot. My Club LOL has opened today, but I'm island farming so I haven't got a chance to visit yet. High five, weekday buddy! Mine opened a week ago, so I didn't get him until this last Saturday. Once you optimize your island, you should be able to get 300k+ per trip in about 22 minutes. I just had a 90 minute visit there and pulled 289,000 Bells out of it lowering the remaining costs to 500,000. Here's my little guide on beetle farming. Remove all deciduous trees from the center of the island to prevent fruit beetles from spawning. Trample the flowers to prevent butterflies from spawning, which must be captured to remove. Remove the palm trees facing the southern beach. Gradually cover the sand in shells to prevent hermit crabs from spawning. To make it easier, sell conches (the blue ones) to Leila so you'll always know that most conches are hermit crabs until you finish. Once you have finished the first four, you can run around the beach and slowly approach the palm trees from the front of the island. The skittish beetles are far less likely to flee if you approach them from behind. They have a great cone of vision to their sides. For goliath beetles (the large red ones) and cyclommatus stags (the ones that have huge mandibles), you don't even need to creep up on them. Just walk up behind and snag them. For atlases (the large black ones) and horned elephants (the large gold ones), you will need to creep (hold A). Swing your net when you are 1½ spaces behind the tree. For golden stags (the small gold/black ones) and horned Hercules (the large gold/black ones), you will need to creep and barely tilt the circle pad. These two are very skittish, so you will need to swing your net at the earliest possible moment at which you can catch them. I usually use the lines in the sand to determine when to swing, usually when approaching the second line in front of a given tree. Bring your fishing rod around at all times. If you see a fin, catch it. Sharks are worth as much as the beetles. Scare off anything that isn't a palm tree beetle or a shark. You can try to catch long fish, but be prepared to throw back a lot of sea bass. Beetles can only spawn off-screen, so run to the far edge of the island. If your inventory fills up, drop your fishing rod (or net if you just caught a shark) and dump everything in the box immediately. I typically put my threshold at 6,000 bells. Anything worth less than that doesn't come home with me. Last edited by Cat333Pokémon; July 15, 2013 at 02:25:37 PM. And just YESTERDAY I got my first Resetti appearance! Oh yes, I feel like I've just really experienced Animal Crossing. Yesterday, after clearing up some areas dense with trees, Isabelle announced that my town had reached perfect status! Maintaining shouldn't be too hard, as I can hold off on public works projects and extra trees for fifteen days so that I can keep my status pristine. I also love planting flowers, which only add to town status, so being free to leave those around is great. That's the best song I've ever heard. I do believe that stereos are not supposed to be in the wall. Like I said, this game is buggy. Quite an interested product. Can I buy it? Yes, tell me more about my New Leaf addiction. The megaphone doesn't always work right. Last edited by Cat333Pokémon; July 17, 2013 at 07:58:38 PM. I finally got a chance to go to Shampoodle's today and get a nice new style. I know there are a lot FMA fans on this site so I'm posting this. If anyone has any flower hybrids they are willing to sell, please notify me. I can pay 20k per flower, though I am open to negotiations depending on the flower. I received some extra blue roses from someone, and I'm not sure I want to keep them. I'd prefer to breed them myself. I have a couple extra pink roses, pink tulips, and 2 extra orange pansies. I'm trying to get blue pansies and blue violets- so if you have any of those, we can trade. Otherwise, you can just drop me a PM of what you'd like. I need someone with a turnip price of around 110 bells. I don't mind if it is 10 lower but I am desperate as I need to sell them today otherwise they will rot! First off, my tower was finally built. For those who don't know, the tower is the most expensive project at 726,000 Bells. Secondly, I repaid off my debt but was stupid and now I have a wall being built tommorow instead of an expansion. Today was also the bug-off. I won with a Raja Brooke Butterfly and got 3 things total out of the tournament including the trophy. Also, it was K.K. Sliders first proper visit today and he played K.K. Jongara for me. 125 bells here. Lemme know if you add me. Last edited by zsaberslash; July 20, 2013 at 12:40:08 PM. All I can say is, zsaber is a life saver. Dangit Cat, what are you hiding in these things!? These are the best business hours ever. Shrunk says the punch line first...though he does have a great point for this joke. Found this nice sloppy table in Re-Tail last Saturday. And then a 2nd one on Tuesday. And then a sloppy stereo on Thursday. Three really rare items in a week, I did good. LOLOMGYOW-LOW!!!!!!!11111111. Timmy/Tommy's expression shows the standard reaction to that statement. Last edited by Yoshi648; July 20, 2013 at 03:27:07 PM. It'll be mailed to you in the morning. Seeing Totakeke perform acoustic was amazing. It would've been nice if someone had told me that I can't request the song to take home, but I like K.K. Disco anyway. Still, after that I probably requested K.K. Metal about a thousand times. Blathers must of had an interesting childhood. Some Gulli-very good puns, here. I have found that my confidence has had that whiff of soup recently. The Able Sisters have found, hunted, and made the rare Cat333 into a hat. How could they? Finally managed to pay off my tower, the most expensive project in the game. Last edited by Cat333Pokémon; July 21, 2013 at 11:07:03 AM. 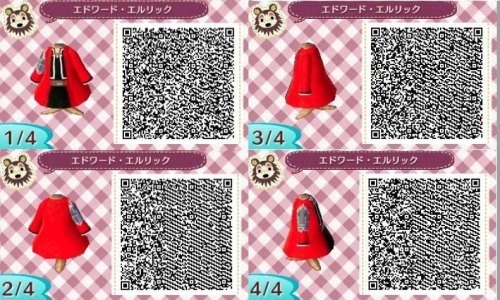 The first song is a random new one added in New Leaf, then you can pick the one to take home every week after. Just keep an eye on him. Maybe he'll suggest adding a traffic light as a public works project next. Last edited by Cat333Pokémon; July 21, 2013 at 11:08:45 AM. Last edited by Cat333Pokémon; July 22, 2013 at 12:21:27 AM. Houses don't even show up in my HHA. I haven't had a single hit from streetpass with someone with this game since I got it. I haven't had a chance to really use the feature. Then again my house is really just random stuff put together for now. O.K. I need to visit towns to get signatures for Clay's food showcase. Anyone up? Has to be today. By the way, do you think it might be a good idea to spin off a turnip prices thread on the section? Either way, bought 1,000 turnips for... 90,000 Bells in total. I'm holding out for a he- no, a price at least 180 Bells. Last edited by Twiggy; July 22, 2013 at 11:02:15 AM. Could be a good idea. Don't forget to leave a tip if someone has a good price. Speaking of which, what is your turnip price? I think it might be a good idea to say it either way just in case someone did buy ridiculously cheap turnips. note: I really dislike Klaus. After countless hours I catch one of the two rare, ground-dwelling bugs. One more to go. ...and see that his house is in the exact same plot as the late Paula. Fine with me! It minimizes on the amount of mud in town. Club LOL appears to be a gay nightclub. I never knew my town of 10 could be so progressive. If you are going to fill your house with my fish, they are going to be badass ones. A Fiji-style birthday party? Noice. I'LL TELL YOU WHEN I HAD ENOUGH. Oh I'm sorry was that your cicada? There is nothing quite like one-upping your rival. Rare furniture for 300 Bells? Thank you. Last edited by Cat333Pokémon; July 22, 2013 at 11:43:29 PM. ...Nice job getting a house full of sloppy items. Don't let them move now. Well that ALSO would've been nice to know. :I K.K Metal here I come!... again! The strangest thing happened to me yesterday. I was just shaking trees before 10 AM (The time I allow myself to turn on New Leaf since that's when all the shops open. I want the FULL experience.) when I heard the regular whooshing sound. I thought it was just another balloon item to sell, but it was a container with 3 yellow balloons. Well, obviously it's a gold slingshot... but why? I honestly just wanted to plunk it in the river. Why did they come out of order? I tried selling it but it doesn't go for very many bells. Anyone want a random silver slingshot? I'd like to get that, but then again... I'd like to get the silver slingshot on my own. You'll only like the first one. The next eight will be a nuisance. Also, Turt, let me know if you want K.K. Metal. That was one I requested three days ago, and you can order music from the catalog now. So I just dropped 500k for the opportunity to travel to someone else's town and convince Amelia to move to my town. It worked, and I couldn't be happier. She was my favorite villager in the GCN version, and nearly 10 years later it is cool to have her back. First what? And yes, I'd love me some K.K. Metal. I decided YES, I WILL get my hair did today! And I gotta say, it wasn't half bad. It's white and reminiscent of what Danny Phantom's hair would look like in 3D. I wouldn't expect them to have Butch Hartman's weird design, so it's close enough. Now all I need are black pants. Does anyone have any black pants that I can catalog? And here's a picture of my current Phantom outfit that leads into my next issue. Why did I get ANOTHER silver slingshot!? Honestly, now I have TWO useless things I can't sell. About the silver slingshot. That's what Cat was saying. You'll like the first one you get, but then anytime you see two flying silver balloons you'll go "ugh". Managed to find a sloppy bed in Re-Tail. I know some of you are collecting this stuff so if you want to buy it off me, just ask. Is anyone's Garden Store selling Axes? I need one, mine just broke. I have axes currenly Rotom, although I won't be home for a couple of hours. Hadn't accessed my town for 5 days prior and I am suprised there wasn't more weeds. WellI managed to get a genuine suprise when visiting the Able Sisters today, I managed to get a mannequin from them! I put my Samus stuff on it and I think it looks pretty nice. Sure, I'll take it off your hands. Sure, I'll let you over. Last edited by zsaberslash; July 25, 2013 at 01:59:40 PM. I've just discovered the joys of being on the island. Well, money-wise anyway. Now I know why so many people suggest it to me. There were just bugs everywhere and a whole lot more sharks than usual. Unfortunately I got back too late and Re-Tail was closed, so I have to sell everything in the morning. Sometimes I wish I had Night Owl so I could make more trips, but then I remind myself I don't like playing at night. And am I slow? Because I did not know until last night that you can dance at Club LOL. I accidentally tapped a directional pad button and then I stated doing the two-step. The things I learn each day. Re-Tail is paying premium for sharks today. Looks lie I will be hunting them until Re-Tail closes for the day! Turnip prices time? I've got 6,000 that need to be sold by Saturday night. Last edited by zsaberslash; July 27, 2013 at 03:46:35 AM. Reason: Also this is afternoon price by the way. I had 100 earlier, but the shops closed almost 3 hours ago. I'm not going to even see the morning price, so I'm hoping my evening price is good enough. Last edited by Cat333Pokémon; July 27, 2013 at 03:45:34 AM. The Dream Suite has just opened! I have to say, even though it costs money and I can't take any items back, I love being able to visit any town whenever I want. And to DESTROY EVERYTHING. It makes me feel more at peace~ And I love how the Danny Phantom shirt goes with the pajamas. Want to help fund my funds? Sure thing dude bro, how much do you need right now? Just go to my town when I wake up for turnip buying. There's a public works project to fund, and the turnips. Need I say more? Last edited by Twiggy; July 27, 2013 at 11:00:36 AM. Got a specific amount in mind? I get 3-4 99,000 Bell bags in a day. Lets see... I need 2 bags to pay of the project I have right now and 1 or 2 for buying turnips. I won't take any more of you than that. I can give you some if you'd like right now. Also, let me know if anyone needs to catalog the double-neck guitar. Last edited by Cat333Pokémon; July 28, 2013 at 02:07:52 AM. On the other hand, I didn't buy any this week. Also, metronome! Last item I need in my music room. Anybody got one? I also would like suggestions for wallpaper and carpet. I've got rococo flooring in now, and it looks rather classy with the rest of the items. Last edited by Cat333Pokémon; July 28, 2013 at 08:41:55 PM. I haven't seen your music room, but try the stately wall. I have one in my main room and 'classy' is a great word to describe it, and it could go nicely with your rococo flooring. I got 4 all the way until today. ...but then I ended up finding the 4th fossil behind a flower in the part of town I never visit. I have received a Metronome, I'll see if I can get it via catalogue. As strange as it might sound, I've searched through my town, and invoked the Up arrow view a lot of times to peek behind buildings and tree. Still no spot. Is it possible that some other in-town villager dug it up and kept it to themselves? I've been holding off on showing pictures until it's complete, but I'll be sure to try that out. Also, I finally caught that stupid scorpion last night! The trick is to go very slowly and stop when it hisses, but not too slowly that it finds a body of water or despawns. Moreover, Knox is moving out. If anybody is interested in him, you've got about 17 hours to let me know. Lastly, I think today is the first time I'm up early enough that the new day has started but none have the shops have opened, and my mail hasn't been delivered. Last edited by Cat333Pokémon; July 29, 2013 at 09:00:36 AM. I've been holding off on showing pictures until it's completely, but I'll be sure to try that out. Heh. Non early-bird towns usually have shops open at 9 AM. I found out when I was trying to buy turnips and started to fill up my invention with digs. Scorpion? It was easy for me. I've caught at least two of them... and in one go. It could be. My Mom is having the same problem; She says that she can only find three fossils and the pitfall, day after day. She's also wondering if they happen to try to spawn under someone's house and then just not appearing. Or maybe it just has something to do with the luck factor? Most of the time when it happens to me, though, I find three one day and then five the next, so it makes me think I just found the one I was missing yesterday. I think there's a glitch involving the fossils, but usually they're just really well hidden. These are gone in August, so get 'em now! Last edited by Cat333Pokémon; July 29, 2013 at 01:40:14 PM. I am about to come into a windfall of cash. Think 10m plus. If anyone it itching for hand-outs, do not hesitate to ask, as I am more than willing to provide. I looooove Animal Crossing: Capitalism Leaf! Last edited by Alakazamaster; July 29, 2013 at 02:01:54 PM. Somebody is having fun with turnips.